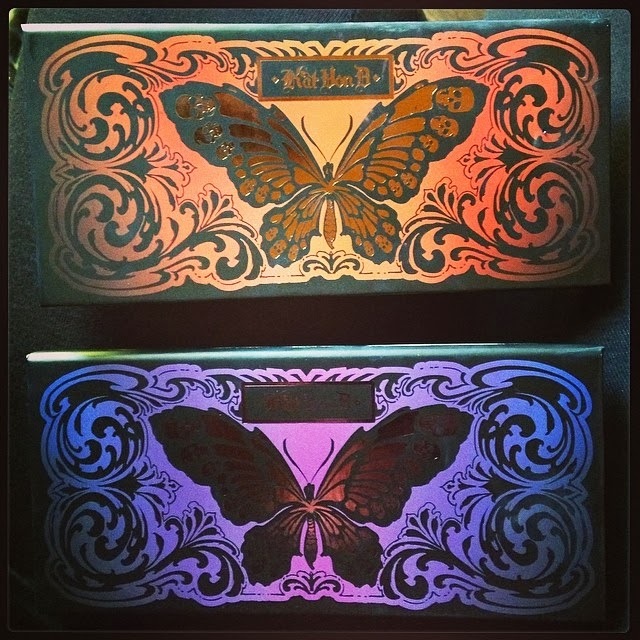 First Look at the Kat Von D Butterfly Effects Palettes! Kat just posted these bad boys on Instagram and I am already in love! I wish we could see the shadow colors, but I'm guessing it's a warmer neutral palette and a colorful palette. No word yet on when these will be out but I'm thinking they'll be released for summer since her spring releases were mainly the liquid lipsticks and Esperanza palette. Something else gorgeous to look forward to, of course!